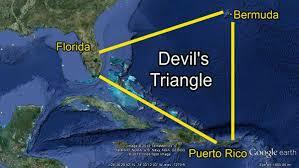 The Bermuda Triangle ( Other known as Devil’s triangle) is a region located in the North Atlantic Ocean.Three vertices formed the boundary of Bermuda triangle located in Miami, Florida peninsula, in San Juan ,Puerto Rico and the island of Bermuda. The Devil’s triangle is one of the most talked about mysteries in history.It is most notorious place in our ocean were aircraft and ships vanished without any trace. 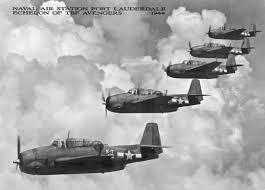 One incident dated December 5, 1945 – five (5) airplanes of Flight 19 or the TBM Avenger Torpedo Bombers c – a routine military training mission departing from Fort Lauderdale, Florida – had disappeared mysteriously without evidence. There were a few more snaps and then silence. Over the 70 years no wreckage was found nor were bodies retrieved.Fourteen (14) crewmen has never been found all together.